A letter from Sageth Medical Clinic Volunteer Program Assistant. This past August the Medical Clinics held a Cardiac Camp. Patients were identified by the Clinic Physician as being at risk or suspect for cardiac disease. These patients were evaluated by a group of Cardiologists who volunteered their services. As per policy – this service was provided at no cost to the patient. The report received from Sageth provides details. 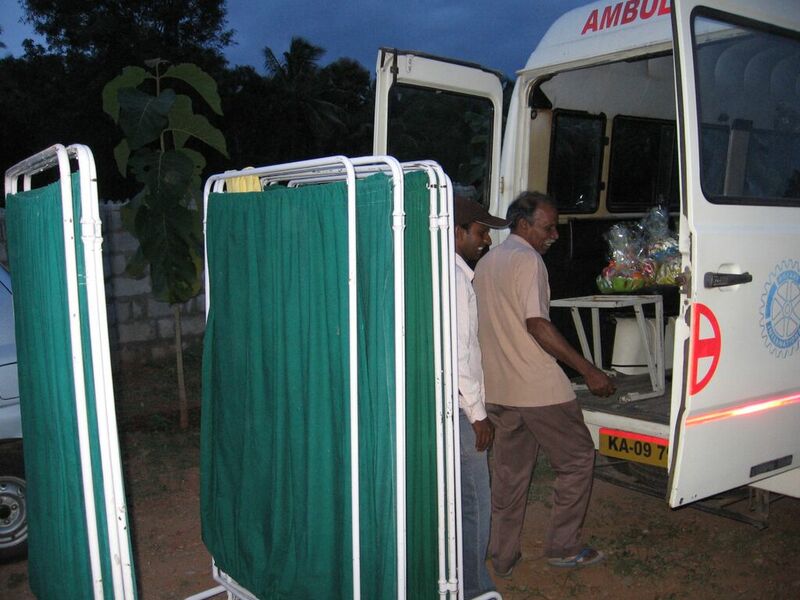 On Amma’s instructions and with Her divine guidance and grace, a Cardiac Health Camp was planned for and successfully held on August 25, 2013. In the past several months, patients with risks (obesity, hypertension, diabetes etc.) for cardiac diseases were being identified. Patients were informed and reminded of the camp during the previous weeks and on the day before the camp, identified patients were issued an appointment card with date, time etc. as a reminder and identifier. Dr. Hanumanth Rao (previously served at Sri Sathya Sai Institute of Higher Medical Sciences, Super Specialty Hospital, Bangalore and presently working as Medical Superintendent at Brookefield Hospital, Bangalore.) Dr. Rao also arranged for the Cardiologist, over saw the clinical proceedings and provided final counseling and advise to patients. Dr. Anantha Padmanabhan: General Practitioner for all our Clinics. Mr. Chandrappa: Echo Cardiogram Technician at SSSIHMS, Super Specialty Hospital, Bangalore. The camp began with Aarti at 8:30 AM by Dr. Ananta Padmanabhan. Subsequently the consultation started at 08:45 AM with preliminary check up. Vitals (Height, Weight, Blood Pressure and Pulse) were measured and prelimiary assessment was recorded. 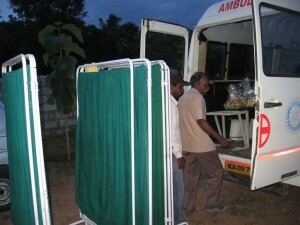 Patients were then sent for ECG, Echo, Cardiology consultation and finally counseling/instructions. 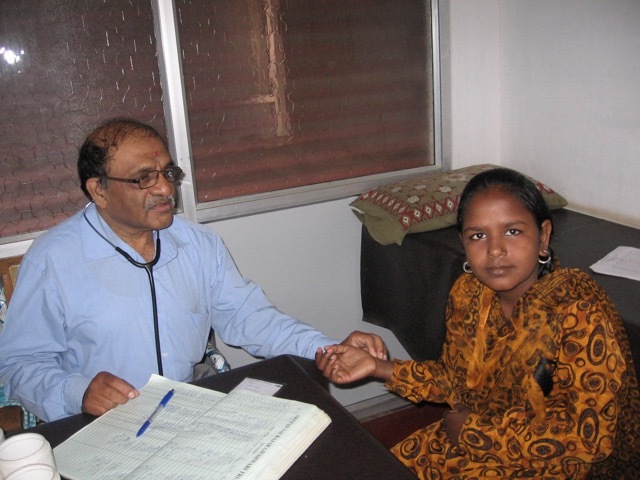 Mr. Prakash – Doctor’s assistant at NR Mohalla & Karekura Clinics. While the consultation was in progress, Amma arrived and went through the whole process with all the doctors and technicians. Amma was present during some of the consultations as well. 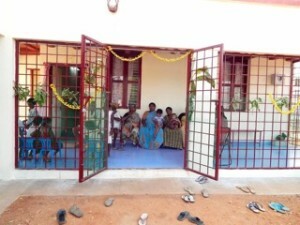 Then Amma inaugurated a new room that had been added to the clinic. Here Amma receivedAarti and took photos with the doctors, seva dals and devotees. Some of the devotees had come from Bangalore for Seva and obtain Amma’s Divine Darshan. Amma stayed till the end of the camp and returned to theAshram. At closure of the camp, the Doctors, Seva Dals and Devotees went back to Jnana Deepa for prasad. After this, Amma gave Padanamaskar at Shirdi Sai Mandir to the whole group. Mementoes were given to the doctors and Seva dals following which Amma went back to Jnana Deepa to attend to other work. 39 patients were provided cardiac check up of which 4 were asked to get Angiograms done at Dr. Guru Prasad’s Hospital or any other hospital of their choice to determine need for additional treatment if required. 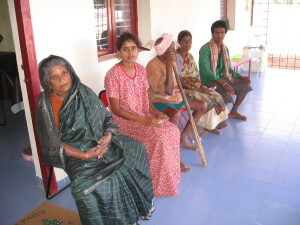 Villagers who are financially backward quite often have “Below Poverty Line” ID cards which will get them government coverage on most of the treatments (up to a certain limit) in a number of hospitals. The other patients who were checked up at the camp and did not require institutional intervention were prescribed medication. Any prescribed medication that was available in the clinic stock was issued to the patent Free of Cost as usual. However, the clinic does not keep stock of special medication for the heart or any other rare and unique conditions. These have to be purchased by the patients from an outside pharmacy. Others, who required neither investigation nor treatment but were at risk of heart disease in the future, were provided the requisite counseling.